Aaron & Anna Maria Field - Antiques and Bric-a-brac. Aaron is 53. Their 18 year old son, Frank and 5 year old granchild, Kate Beatrice also live with them. 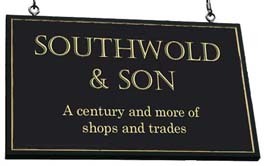 (C) Frank will eventually take over the business.The family and the business has moved here from nos 59 and 57 next door. 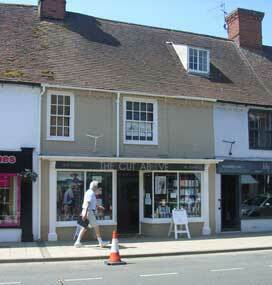 By 1924 the Field antiques business will have moved to No 4 Trinity Street. 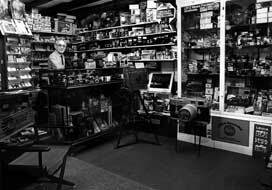 Dennis Hambury in his photographic supplies shop photographed in the mid 1980s. soon after the business had opened.